What is a National Marine Sanctuary? Under the National Marine Sanctuaries Act, the Office of National Marine Sanctuaries protects areas of the marine environment which feature, but are not limited to, unique conservation, aesthetic, recreational, ecological, cultural/historical, educational, scientific, or recreational qualities. Currently, there are 13 national marine sanctuaries and 1 national marine monument, encompassing an area of more than 738,000 square miles, from Massachusetts to the Florida Keys to American Samoa! Wildlife Conservation Society (WCS) is leading a proposal to nominate Hudson Canyon as a National Marine Sanctuary! Hudson Canyon is the largest submarine canyon off of the U.S. Atlantic Coast, and one of the largest submarine canyons in the world! Its deepest point is 10,500 feet below sea level, and its canyon walls can reach 3,500 feet! How? Through the sanctuary nomination process! 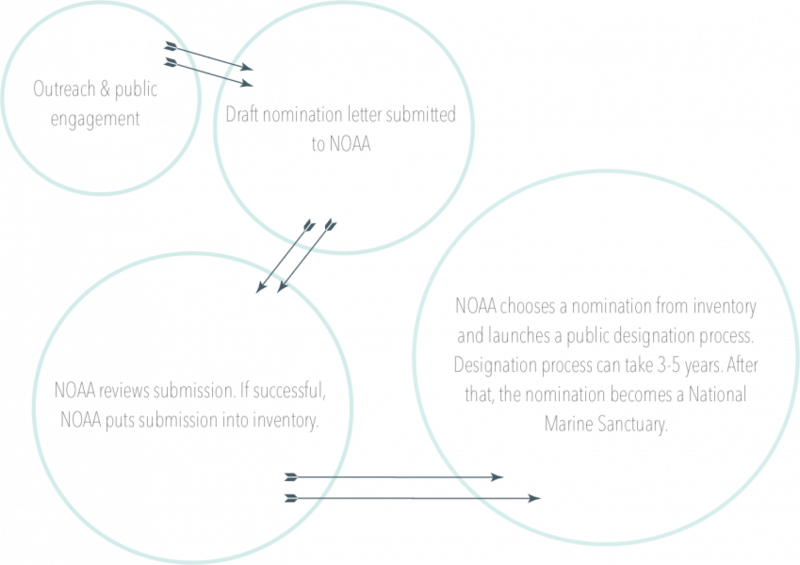 NOAA recently launched a new, grassroots-driven nomination process to allow a community’s development of a nomination to protect specific areas of marine or Great Lakes waters. How does a National Marine Sanctuary align with Surfrider Foundation’s Goals and Campaigns in NYC? Want to learn more about Hudson Canyon or read the nomination proposal?